If you are grade 6 all the way through to year 12, we invite you to come and join us. 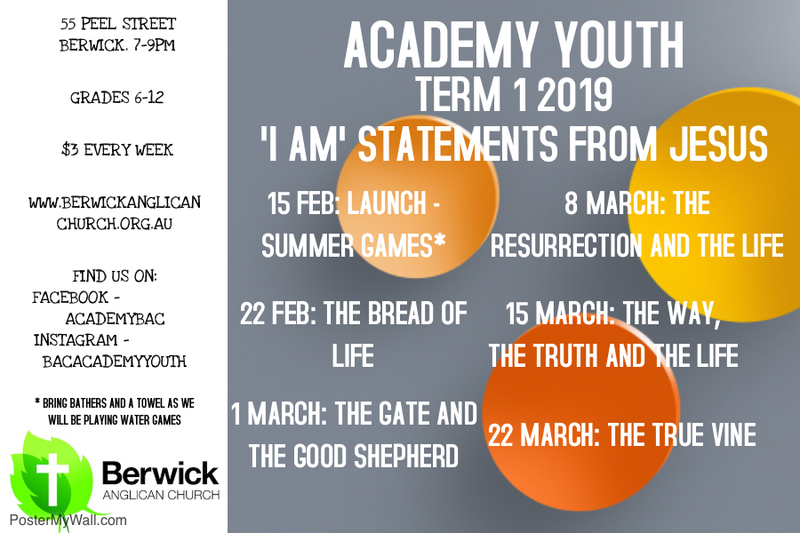 Here is our latest term info. If you are looking for VCYC Registration Information: Click Here. Find us on Snapchat @ bacacademyyouth. Berwick Anglican Church’s Foundations Bible Study runs every Sunday during our 10:15am service throughout the school term. This Bible study is held for youth in grades 6-9. We believe this time is essential as it builds up our youth to understand the Gospel better and promotes spiritual growth in their lives.